Auto income bot is a new binary options product that I started to get a few emails about recently. In looking at the website I don’t see very much except for a registration page, a short video and a short sales pitch. Today I will be providing a review of this software and letting the binary today readers understand what it’s all about. The auto income bot is a fully automated system. The developer claims that he made over $800,000 in one year and is the selling point for the software. The developer claims at once you have joined and followed the instructions (I imagine this means join their recommended broker) that his team of expert will pick and place all the trades for you. This concept is great because most people in this market are looking for easy solutions to make money and so auto income bot is putting itself in that role to make sales. That’s all well and good, but there is no real discussion about the strategy how the software works at all. I understand a lot of people are going to be interested in the software because of how easy developer makes it seem that without some sort of a strategy I’m certainly skeptical. The auto income bot does show multiple bank statements and a couple of screenshots that show two days trading. But both of those days being in January which really proves nothing at all. If you have something you would like to contribute to this review please leave your comments below. This is a system that is generating a lot of interest so if you bought it please do me the favor of letting me know if this auto income bot software is performing or not. Lost 500 dollar at one two trade via the robot binery bot. Really not impress by this. You can see in my review that I don’t recommend it. 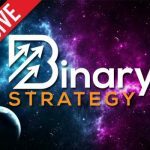 Right now my favorites are binary brain wave 1 and binary options bullet 2. Thanks for a Great site and for helping us find Binary Brain Wave and Binary Bullet! I have high hopes for them and plan on using them in tandem together! I tried Auto Income Bot, signed up with Cherry Trade.com, deposited $300 and in two days my money was lost!! Forewarned is Forearmed Fellow Traders! Thanks for the kind words Bujiboy. Let me know if you need any help. AIB is big disaster, stay away from them. I lost over over 50% of my account, I have had asked my broker to disconnect me from AIB. The Auto Income Bot was listed on Binary Today and I had read was part of the Option Bot 2 that does have Phone numbers and back up as going to do both. Did the AIB first as they are suppose to do all the work and hand picked by himself and and only 1 trader to choose from was cheery Traders then go to join another trader shows up but is a mistake. IT SEEMS I SHOULD HAVE DONE OPTION BOT 2 FIRST HAVE A DIRECT PHONE NUMBER AND BACK UP SERVICE 2ND TO NONE BUT THIS GUY CRAIG PETERS WHO IS HE IS SUPPOSE TO BE PART OF THE OPTION BOT 2 MOB. IF U YOU ARE LOSING SO MUCH STOP AND START A FRESH AGAIN THE NEXT DAY, HE SAYS CANT TAKE ANY MORE NEW CLIENTS BUT BEHOLD I HAVE JUST RENTED MORE OFFICE SPACE AND CAN SQUEEZE IN A FEW MORE 100. MY BALANCE DISSPAEARED OFF THE TRADING SCREEN AND FINALLY SHOW UP 1/2 DAY LATER AND I STILL CANT PULL UP THE TRADES. I registered and paid for Auto Income Bot (AIB) but became worried when I am only allowed account with GTOptions (for non US resident). I have reviewed GTOptions online and there is no single positive review about them. I find it strange for such acclaimed good software working with such a dubious broker despite with several other good brokers around. I have sent mail to AIB support team on my concern with GTO and surprisingly enough, no one has responded. Prior to me paying for the software, I get instant response from the same support team. Every other robot gives one or two option of broker so why just GTO? Please be careful with AIB. Next time read the review before you get involved Olugbenga. I did not recommend this product. Do you have any information about iFollow signals? They claim to have 80%+ winning rate. But read also positive and negative reviews about them. I do not. I’ll check them out sometime.